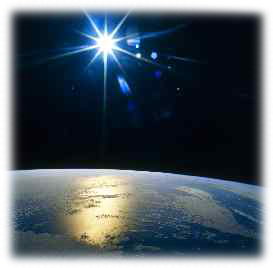 Unless light shines on a star, the magnificence is hidden by darkness. The silent heroes behind movements are like the countless stars of the universe. Until discovered by light, their capacity to fascinate would be lost and nameless. 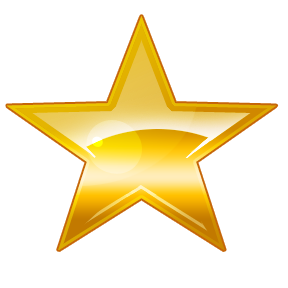 Shining stars is an honor system serving to trumpet youth and adult heroes who defeat the odds and go that priceless extra degree in bringing dreams to light. Shining star appreciation is intent on valuing and promoting growth, learning, inclusively, openness, creativity, flexibility, innovation, and harmony. 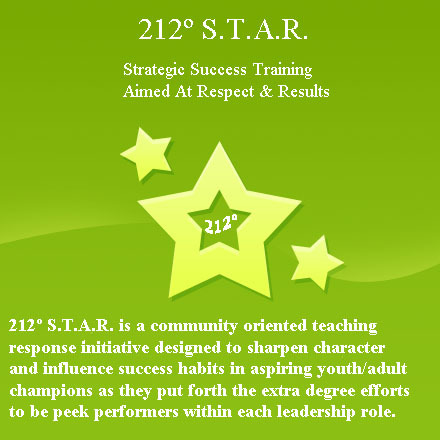 Shining star honors therefore are honorary recognitions of those demonstrated values and for persons making the extra degree changes to be a team member of 212 star revolution & star interns either as a youth participant, parent, life coach or legacy partner. The success is highlighted monthly thru the legacy partner network, hero cookie blog, and thru the ark lite site. Spotlight events allow achieving leaders to also share their stories during scheduled events over the course of the year. Our keynote celebration is the annual 212º table of honor banquet event for community supporters and to recognize and award accomplished projects, achievers, leaders, and their families.